Whether you are an individual looking for your first office space, or a growing concern, Woking has plenty of options on offer. Office space is available in a variety of different forms across the town. If you are looking for larger property or would like to discuss development opportunities, please contact our office for advice. All of the commercial property agents in the Woking area can also be found through our business directory. For small and micro businesses, a serviced property might be what you are looking for. 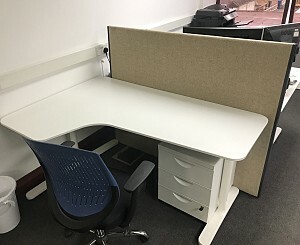 This is an all-inclusive space, with one licence fee each month that provides a furnished office with shared reception and covers everything from business rates to IT infrastructure - except outgoing telephone calls, meeting room hire, photocopying or other similar variables. It is on a licence agreement rather than a lease, which is simpler and permits you to use the office rather than take ownership of it. 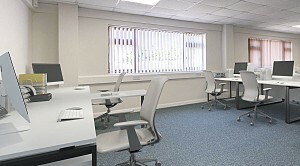 Collaborate Works, situated centrally and conveniently on Commercial Way, Woking. This business centre is a convenient collaborative work space for small businesses, freelancers, start-ups and entrepreneurs, that's just a three minute walk from Woking station. The Connect 2 Innovation Incubator, based in Export House, Woking is an entrepreneurial environment offering high quality offices and co-working space, with advisory support and services tailored to growth-focused businesses for up to three years. Local printers Optichrome are pleased to offer desk space at their site on Maybury Road, just a short walk from Woking Town Centre. Contact us for more information. 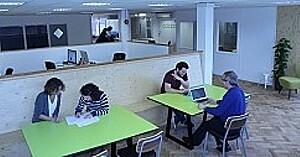 Ground-floor open-plan arrangement for flexible co-working (hot-desk style) desk space offering inclusive monthly payment. Newly refurbished open plan area with kitchenette facility, adjacent to two premium partitioned offices with executive style larger desks for rent. See here for more information and availability. Ideal for fast growing businesses looking for short term solutions, Something Big’s new creative hub is a unique opportunity to share the environment of one of Surrey’s leading agencies.